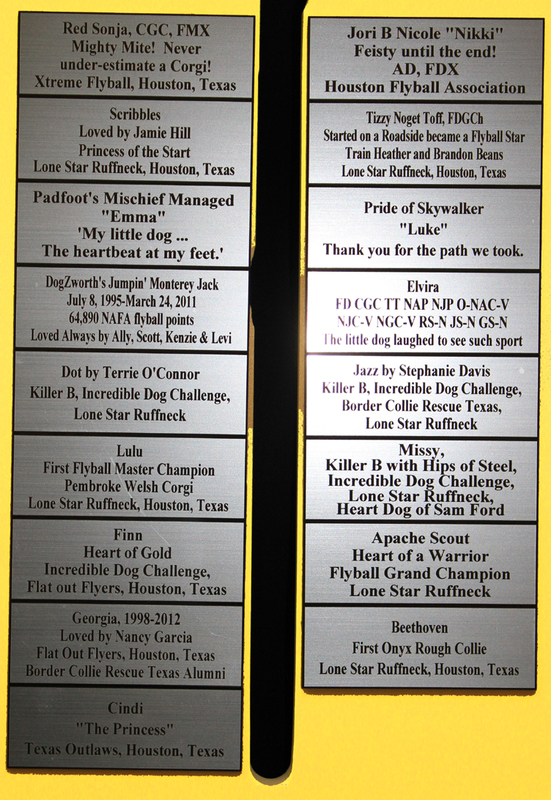 NAFA is proud to announce the "Honor Board"! 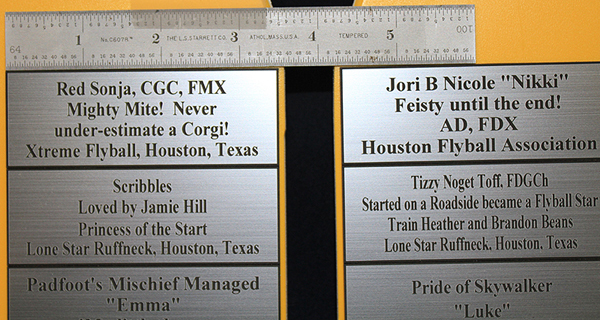 Honor board plates will be displayed on the NAFA CanAm jump uprights each year. 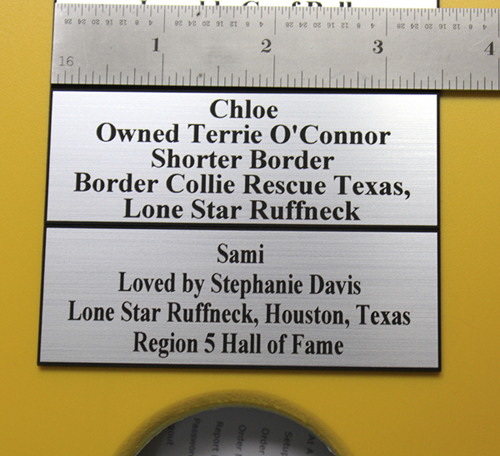 Take this opportunity to honor your dog(s), a flyball competitor(s) or flyball team. You may also choose to honor your dog's other activities, such as obedience, agility, etc. 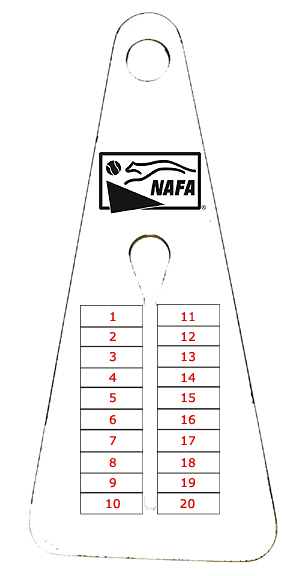 The only requirement is that the dog, person or team you wish to honor is NAFA affiliated*. Placement on the Honor Boards will be determined by NAFA. Any special requests will be considered. Please specify if you would like your new honor board plate to go in a specific ring and/or upright in the special requests field below. Cost of each plate ordered is $20.00 US. NOTE! The closing date for ordering Honor Boards for display at CanAm 2018 Is August 6th!. For more information, please email NAFA Honor Board. For sizing, please click on examples below. Please note the size and height of the letters on each line will be dictated by the number of letters per line. See larger version of full jump upright and bottom of jump upright. *Entries will be displayed as submitted on each plate, once approved by NAFA staff. **Please note, the size and height of the letters on each line will be dictated by the number of letters per line.